I know, I know, I've been going on and on with gift ideas for the ladies, but haven't come up with anything for the gents. Well, let's hit two birds with one stone because this one here is both for the men and boys! Look what's here! VILEBREQUIN! 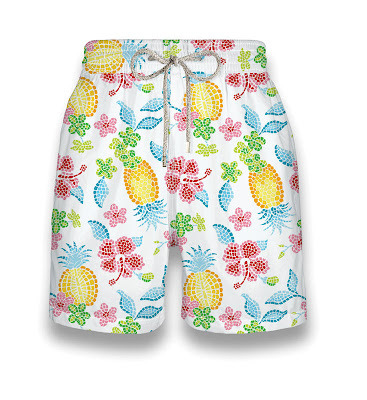 Vilebrequin (pronounced veelbrekan) is a French luxury brand that specializes in men's swimwear. If you're thinking, what's so special about this one? 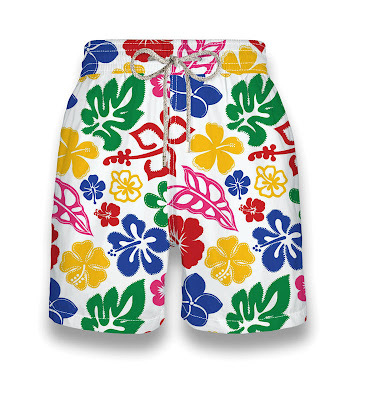 Well, it just happens to be a status symbol, worn by the chi-chi set who holiday on the French Riviera. Very Euro chic, and definitely not of the Euro trash sort. 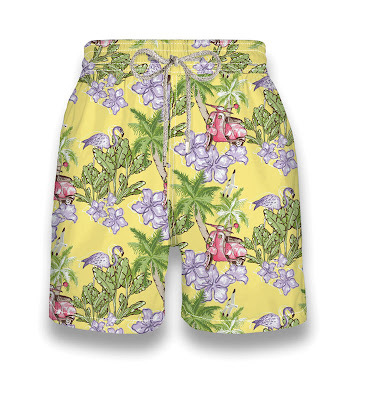 The kind of beach shorts worn by men who live in linen shirts and wear driving shoes from Tod's. 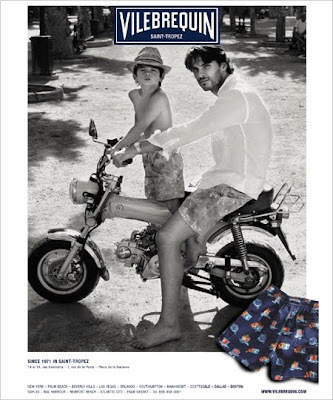 Back in Saint-Tropez, circa 1971, Fred Pryskel, a Saint-Tropez fixture and car enthusiast, sat on a terrace café and sketched the original design for his swim shorts (inspired by surf shorts, totally anathema to the skimpy Speedo type trunks of the day) on a checked tablecloth. He then looked for the perfect material for his design, settling on spinnaker canvas (very apropos given that sailing is THE thing to do in Saint-Tropez), which dries more quickly in the sun and wind. He then called his label Vilebrequin, "the French word for 'crankshaft' and a reference to his passion for automobiles." If that's not enough to convince you or your man, relish in the idea that Ben Affleck, Brad Pitt, George Clooney, Pierce Brosnan, Paul Newman, Hugh Grant and Robert De Niro wear Vilebrequin. Now here's the good part, Manila-based folks. Vilebrequin once was only found in chic shopping destinations like Paris, Saint-Tropez, Rome, New York, Hong Kong and Beverly Hills. You can now hie off to Greenbelt 5 to get these! While the Moorea is the original cut, Jim/Jam is for boys 2 to 12 y.o., Okoa is longer in length, and Master is the one with thigh slits, there's the new MERIDIEN model, a new style of boxer trunks with a flat waistband, 38 cm leg length in size L, the Vilebrequin logo stitched across the back of the trunks and available in all plain colors. In the Philippines, VILEBREQUIN is exclusively distributed by Stores Specialists, Inc. (SSI) and is located at Greenbelt 5.